A terrifying vision of scientific progress without moral limits, Mary Shelley's "Frankenstein" leads the reader on an unsettling journey from the sublime beauty of the Swiss alps to the desolate waste of the arctic circle. Obsessed with the idea of creating life itself, Victor Frankenstein plunders graveyards for the material with which to fashion a new being, shocking his creation to life with electricity. But this botched creature, rejected by its creator and denied human companionship, sets out to destroy Frankenstein and all that he holds dear. Mary Shelley's chilling gothic tale was conceived when she was only eighteen, living with her lover Percy Shelley near Lord Byron's villa on Lake Geneva. 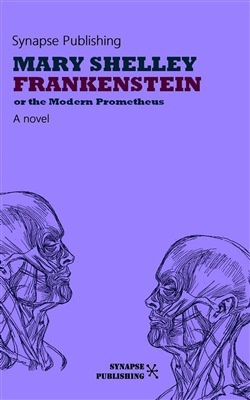 It would become the world's most famous work of Gothic horror, and Frankenstein's monster an instantly-recognisable symbol of the limits of human creativity.